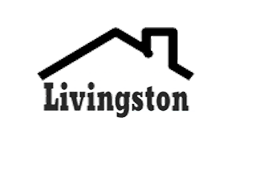 The Township of Livingston makes great effort to provide secure, accurate and complete information on this Website. However, portions of the information contained in the site may be incorrect or not current. Any errors or omissions should be reported for investigation. The Township of Livingston, its officers, employers or agent shall not be liable for damages or losses of any kind arising out of or in connection with the use or performance of information, including but not limited, to damages or losses caused by reliance upon the accuracy or timeliness of any such information, or damages incurred from the viewing, distributing or copying of those materials. The materials and information provided on this Website are provided “as is.” No warranty of any kind, implied, expressed, or statutory, including but not limited to the warranties of non-infringement third party rights, title, merchantability, fitness for a particular purpose, and freedom from computer virus is given with respect to the context of this Website or its hyperlinks to other internet resources.Reference in this Website to any specific commercial products, processes, or services, or use of any trade, firm or corporation name is for the information and convenience of the public, and does not constitute endorsement, recommendation, or favoring by the Township of Livingston, or its offices, employees or agents. Unauthorized attempts to modify or modifications of any information stored on the Township’s web pages may result in criminal prosecution.